Chania is an area that offers you everything from the local delicacies to the most stunning beaches, however there is one thing that will also amaze you in Chania. 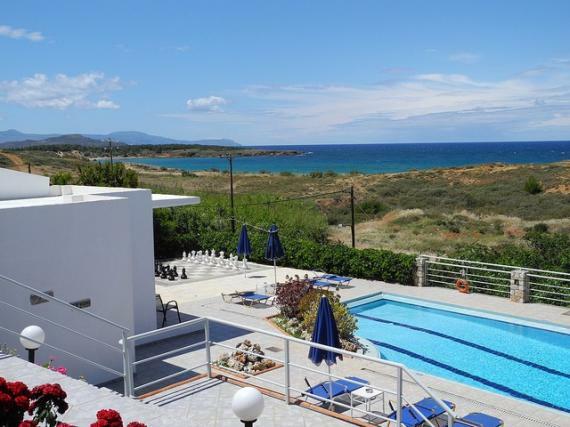 The numerous accommodation options that you are offered covering your every taste and demand and making sure that these holidays spent in Chania, are the holidays of your life. Like in every destination, you need to consider which type of accommodation you will choose. Also if you are visiting Chania during the busy summer months you need to book wisely as early as possible and not leave it for the last minute that you will be running out of options. From self catering apartments to luxury suites offering you all the services of the world to pamper yourself in Chania, you will definitely find what you are asking for. Amenities like the swimming pool, sauna, bars, restaurants,spa treatments and tennis courts are facilities offered by many hotels. On the other hand if you are looking to book yourself a more modest accommodation, you may find self catering rooms - especially if you are travelling with your friends or family and wish to prepare the majority of the meals on your own and save money by cooking your meals that will suit your needs. In the area of Chania you will see that there are many bungalows and camping providing you with the chance to get to know the “free” version of yourself. The type of accommodation that you'll choose depends on your needs, so be aware to think of that first. If you are hoping to spend some quality time with your family then you have to book not a central, but a more quiet place. Once you find the area it is easy to find the type of accommodation that will cover your highest expectations! Always remember that Chania is a place for everyone as its diversity will make anything happen with its amazing beaches on the background.